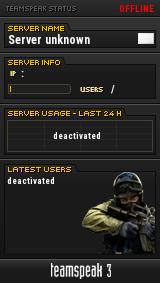 This is an official announcement that as of tomorrow @9PM GMT (after the Knife Event) our new INC Standard CS:GO server will be live for all our members, regs and anyone else who wishes to join to use. As the title says, this will be a Standard Casual CS:GO server with map rotation and a selection of classic maps (CSS & GO). [More can be added at a later date, trial depending]. Due to the recent 'growing' popularity of CS:GO amongst our own members and regs and its further development since its release it is thought that we should give it another shot and run a trial - The trial will last a month (approx). If it is popular and activity is high, we will add more GO servers (mirroring our own current CSS 24/7 maps). I'd ask that once the server launched, our members please wear their tags please and try their best to populate it. Again, if this proves to be successful, we will add more. Naturally, if there are any issues, map suggestions (remembering it's a standard server), or tweaks you think we should make, let me know and I'll look into it. For now, I hope you enjoy and I look forward to seeing you all tomorrow night! I'll be there, ready to ruin y'all. It's running SourceMod indeed. It's also added to our SourceBans database, so naughty people banned from our CSS servers are banned from the CSGO server as well! Woop! See you all there! Looking forward to seeing you all. As I said, any issues tonight, please let me know, but avoid doing it on the server just so people can just get on and enjoy it and just pop me a PM instead. Good start to the evening guys and thanks for those who've attended and still playing as I speak. So far so good and everyone seems to be liking it. Please do join in and give it a go. Support us when you can and with any luck we may even build up the community some more!